The Transformer Diagnostic System (TDS) is a computer controlled power supply with integrated metering circuits. The TDS is fully automated and is specifically designed to test conventionally wound three and single-phase transformers. All that is required of the operator to initiate a test is to connect a transformer to the system and enter a transformer catalog number into the TDS computer. The test instructions for a particular catalog number are retrieved from the TDS computer’s database and the test will commence. The use of the TDS results in exceptionally rapid, consistent and accurate testing. The TDS computer not only performs the test routine but also stores the test results in a comprehensive database for future reference. If the transformer under test fails the test listed, as defined by the catalog number specific pass/fail criteria stored in the database, a Failure Report will be printed. 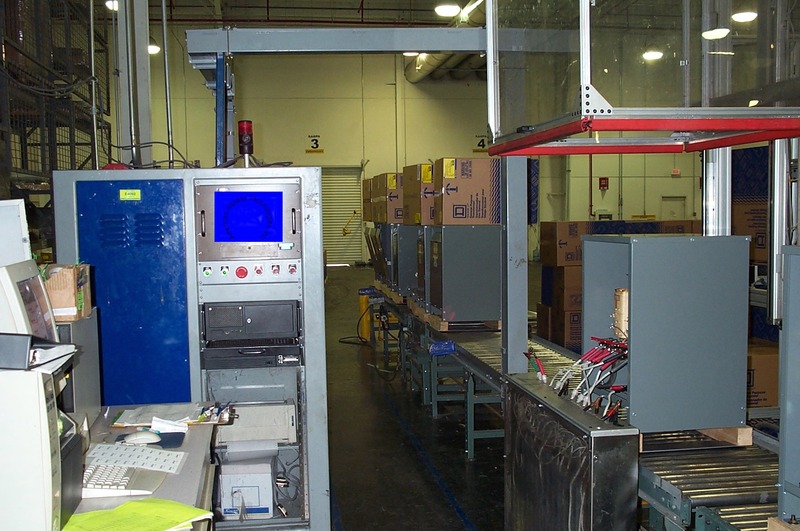 If the transformer passes the test, catalog number specific carton labels and nameplates can be printed automatically. The TDS incorporates a number of special features which allow for exceptionally rapid and accurate testing. These leads are labeled exactly the same way as the leads of the transformer under test. There can be no confusion as to where to connect the test leads. This feature, along with the automatic test function based upon catalog numbers, reduces operator training time to an absolute minimum. The TDS employs over 20 independent voltage measurement circuits. This allows for the instant evaluation a transformer’s ratio, polarity and tap voltages. The TDS does not require time consuming voltmeter switching. The TDS employs 7 voltage ranges and 6 current ranges for excitation power measurements. The result is superior measurement accuracy of the power applied to the transformer under test . The TDS is designed to test transformers with the configurations and lead designations shown below. 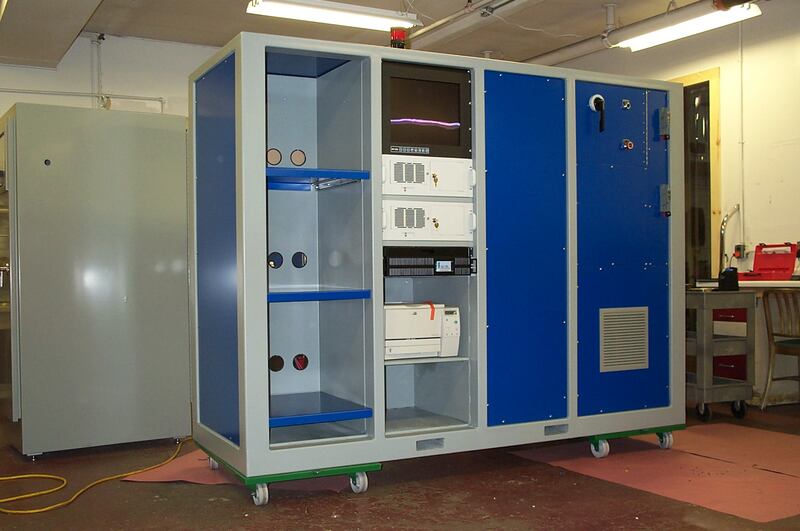 The TDS can test any conventionally wound single-phase or three-phase transformer. The diagrams below are provided to illustrate a specific transformer configuration and lead designation group, not to suggest a limit in the range of the TDS’s testing capabilities. American Railway Technologies can design and manufacture a TDS to meet almost any testing requirement. Please feel free to contact us to discuss your application.